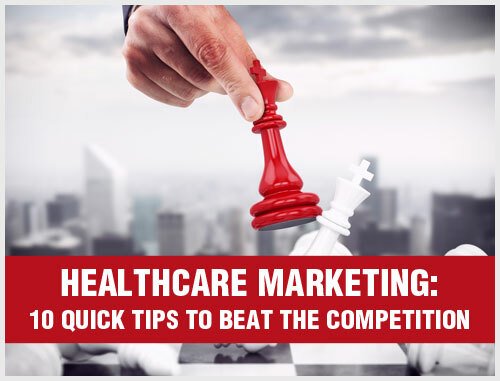 All healthcare marketers understand the importance of having an attractive website and getting regular traffic. However, website traffic is only half the battle. The challenge is making your visitors stay on your dermatology practice website long enough to find out more about your services and, even better, keep coming back for more. 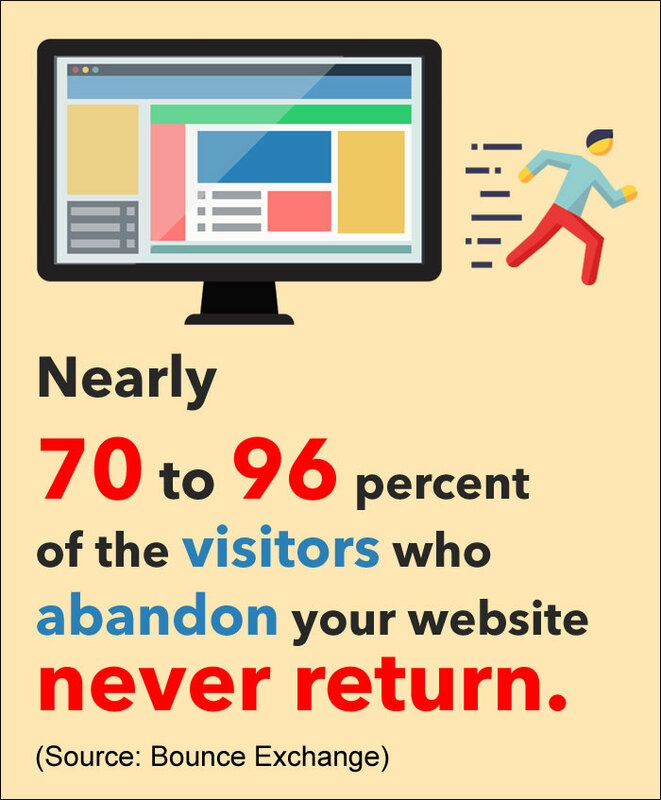 Did you know that more than 70 percent of visitors who leave your dermatology practice website never return? As a healthcare marketer, your most important goal should be to convert one-time visitors into loyal patients. You cannot achieve this goal if visitors are not sticking around to absorb your content. Patient engagement on your dermatology practice website is a critical indicator determining the success and search engine ranking of your website. The longer you are able to keep a visitor around, the more invested he or she may become in your brand, and the more likely he or she is likely to call your office for an appointment. This is why it is essential to capture the attention of your website visitors and keep them engaged. Every dermatology practice website is competing with rival brands to increase patient engagement levels. 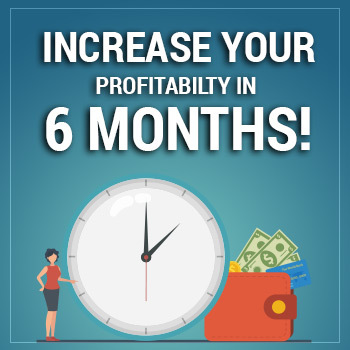 Even if manage to attract a massive amount of website traffic, this may not do you much good unless you are able to engage visitors and motivate them to perform the desired action. Engaging website visitors is one of the most crucial steps in the conversion process. It is essential to engage your visitors before you can convince them to call for an appointment or subscribe to your content. Having visitors leave your dermatology practice website within a few seconds will adversely impact your bounce rate. So, how can you increase patient engagement rate on your website? It is vital to understand the fundamental features on your website that are effective in attracting and retaining visitors. Here some ways to improve patient engagement rate on your dermatology practice website. 1. Make your website visually appealing: According to a Stanford study, nearly 94 percent of visitors’ first impressions of your website are based on its visual design. While an attractive website design is not a science, there are some guidelines when picking up themes. It is better to choose a theme that has a clean design, presents the content clearly and has simple navigation. User-friendly design is critical to keeping your patients engaged and, therefore, must be the overriding thought throughout your website. If you are providing excellent user experience, you will be able to generate significant patient engagement. A unique design will help you influence visitors by striking a delicate balance between regular informative content and critical details. A minimal design approach can provide visual prominence to the key points. Providing enough whitespace around relevant content will also help visitors pay attention to the meaningful content. Pro tip: Your website design is the first thing visitors will notice, and this will help them form an impression of your brand immediately. According to a study, marketers only get 15 seconds to attract new visitors to stay on their website through the power of its design. Make sure your website design is minimalistic with enough white space, so visitors feel welcomed into the website. 2. Create content that is easier to consume: Most visitors do not even have time to read your content word for word. Instead, they scan the web page to look for critical information and keywords. If your website content consists of long and complicated sentences that are difficult to understand, not many readers are going to stick around to read it. Instead, most of your website visitors will find other websites that offer content that is easier to consume. In order to make your content look exciting and easier to read, make sure the font size and line spacing are sufficient. Increasing the font size and line spacing on your website can give a significant boost to your engagement levels. In addition, pieces of content without visual breaks are hard on the eyes. It is advised to keep your sentences short and try not to include more than three or four sentences in your paragraphs. Headings and subheadings play an integral role in keeping readers engaged. In addition to providing a visual break in the content, a well-written subhead can increase readers’ curiosity. Pro tip: Writing short paragraphs and including visual breaks provides a structure to the content and enables readers to read the parts that they are interested in. One of the biggest reasons for visitors leaving a website is that the content was boring or difficult to consume. Be sure to avoid thick blocks of content. 3. Make your website easy to navigate: What if most of your website visitors quit because they are unable to find what they are looking for? Many websites are difficult to navigate, which results in a high bounce rate and poor customer engagement. Simplify and reorganize your website navigation so that visitors can find the information they want without much effort. No visitor wants to navigate deep to find a simple piece of information. You can use analytics to see what visitors are looking for and bring that part of the content or information to front and center. Allowing visitors to find what they are looking for on your website is the easiest way to keep them engaged. Your website’s navigation should be consistent throughout and each page should be titled properly in a consistent manner. A comprehensive website menu can confuse a visitor. In addition, complicated menus lack focus. It becomes difficult to guide visitors through your website if you give them too many choices. Your website’s navigation is an excellent way to drive visitors through your sales funnel. Nothing will frustrate a website visitor more than complicated navigation. Pro tip: Simple and well-structured website navigation will stop you from losing visitors. As much as possible, put the navigation bar at the top of your website for maximum visibility. Do not make the navigation bar congested by using too many icons or buttons. Make sure each page and section is redirected to the correct destination. 4. 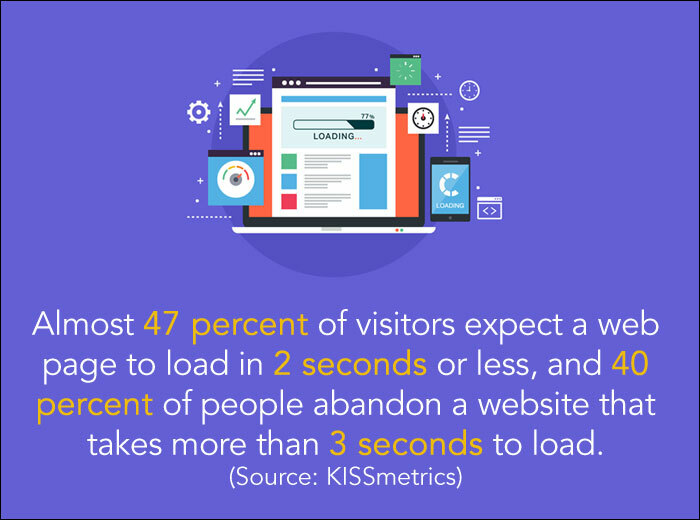 Make your website quick to load and responsive: How many times have you waited more than a few seconds for a web page to load? We live in a fast-paced world in which patients are busy and mostly looking at the websites on their smartphone or other mobile devices. Your website must load quickly and properly on their smartphones, or your visitors will return to search engine results to search for a faster dermatology practice website. Not many people will have the patience to wait for a web page to load, especially if they are visiting your website on a mobile device. Even a one-second delay in web page load time can result in a 7 percent reduction in conversion rates. If you do not take your web page load time seriously, you may be leaving money on the table. It is important to remember that when visiting a website from organic search, the visitor is given nine other options, excluding ads. In addition to being fast, your website must be mobile-friendly. This means the layout and design of your website should automatically adjust to the type of device being used to view the website. Non-mobile-optimized websites get a ranking penalty from Google, which may result in reduced website traffic. Pro tip: If a website is not loading quickly, most visitors will hit the back button and try another site. To prevent this from happening, make sure you remove or replace any plugins that are slowing down your website. In addition, when you optimize your website for mobile devices, just remember that website navigation and page load times become even more important. 5. Create compelling calls-to-action (CTAs): Think about CTAs as triggers for your visitors to perform the desired actions. 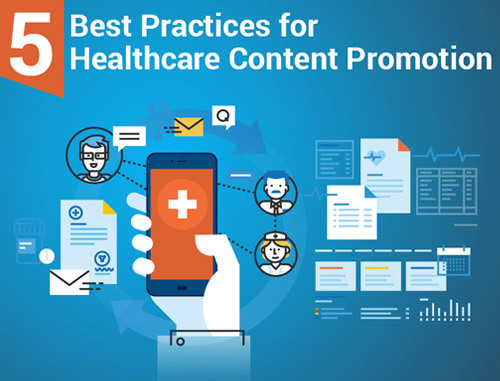 A few compelling CTAs, if used judiciously, can boost your patient engagement rate. The keys to compelling CTAs are to use the right language and plan their placement strategically. The perfect time to request your visitors to take action is after they have finished reading through your content. Website visitors tend to leave once they have gathered the information that they were looking for. However, an appropriate CTA might give them another reason to explore your website some more. A strategically placed CTA button can turn passive website visitors into engaged participants, ready to schedule an appointment or sign up for your promotions. Making your CTAs stand out will help you achieve your website goals. The content on your CTA buttons is your best opportunity to communicate with your website visitors. Clear and concise text can promote patient engagement and clarify your intent. Pro tip: The problem with a static CTA is that majority of your visitors may miss it. One of the best ways to handle this issue is by using an animated slide-in opt-in, which will grab visitors’ attention without disturbing them. If you need help creating or revamping your CTAs, a web design professional can make sure that the buttons not only look great but also perform the way that you want them to. Website experience optimization is the process of optimizing your website to encourage visitors to stay longer and read more content. Even Google’s ranking algorithm considers website usage metrics such as time spent on website and number of web pages visited. If a visitor leaves your website quickly, it is regarded as a “bounce” and indicates to Google that your website is not as useful as other rival brand websites. 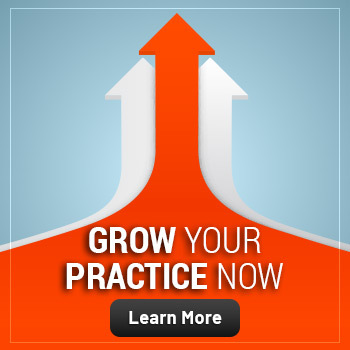 As a result, your dermatology practice website may move down in the search engine rankings. On the other hand, having a fast, responsive website that is easy to navigate and contains bite-sized content will encourage visitors to stay engaged longer, thus reducing bounce rates and improving search engine rankings. There are many ways to increase patient engagement on your website, such as live streaming and live chat. But the most important aspect is to have engaging content that your patients can relate to. Providing inappropriate content and stuffing your website with keywords might bring visitors to your website, but it will not be an effective long-term solution. In addition, a low percentage of engaged patients will hamper your dermatology practice. Engaged patients will represent your dermatology practice more effectively through social networks, blogs and even word-of-mouth. 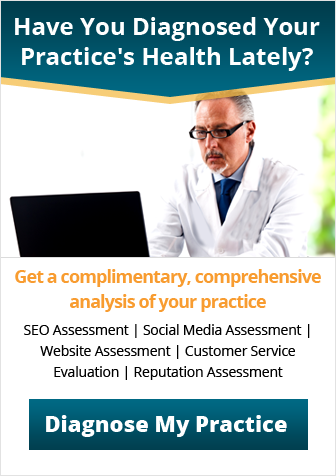 Your website is the backbone of your dermatology practice. 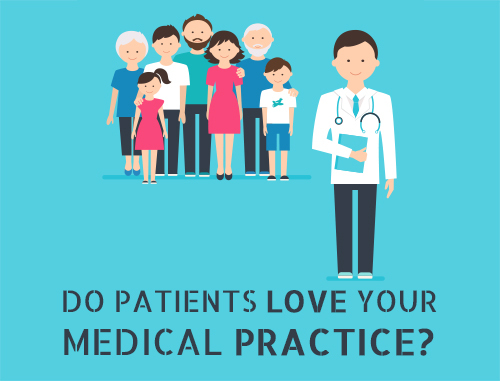 Therefore, make sure you implement the most effective patient engagement tactics.